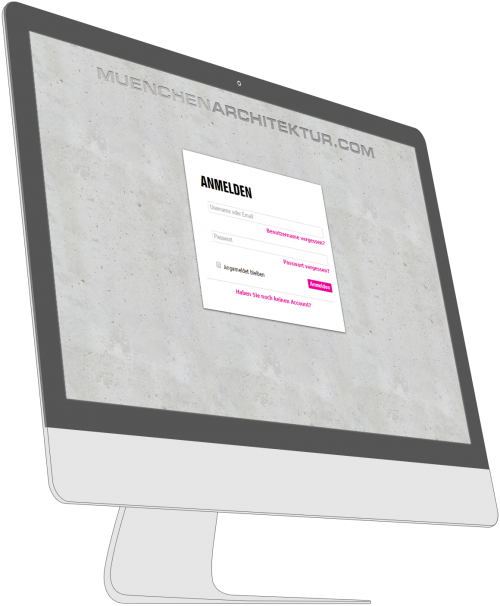 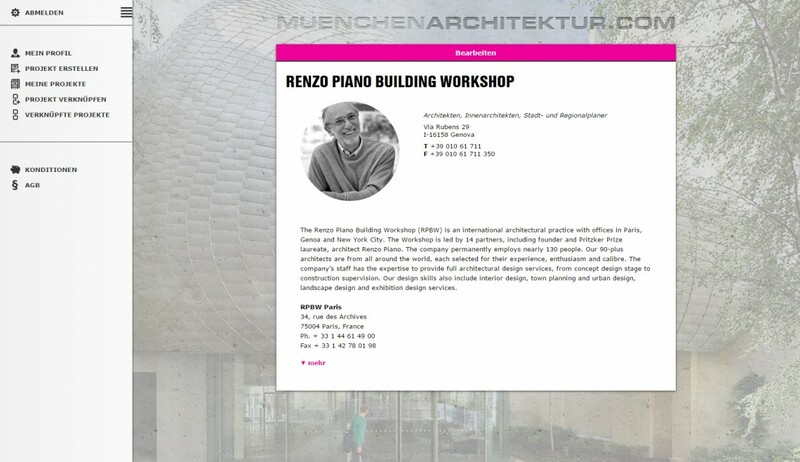 Muenchenarchitektur, the online platform for architecture and design in Bavaria, needed an additional member portal in order to allow the online community to administrate their own profiles and projects on the website. 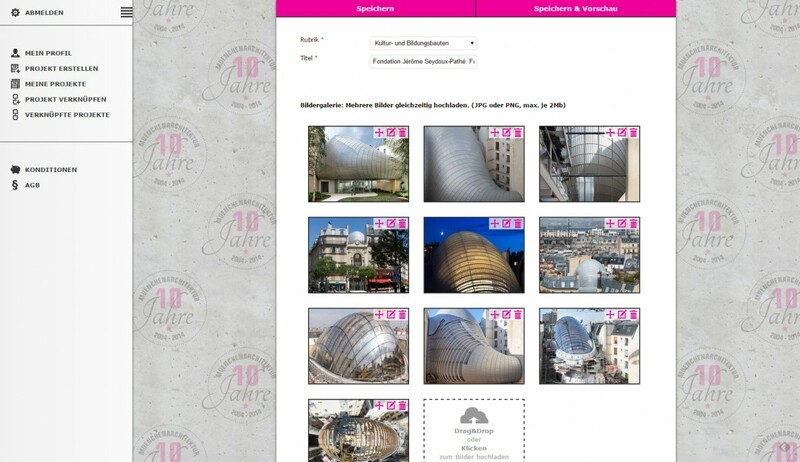 The main goal was to have a clean interface with an easy to use feature that would allow multiple image uploads. 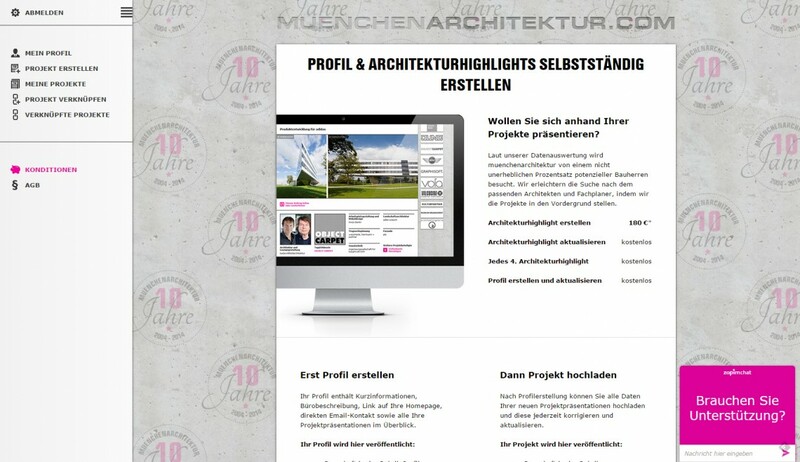 Architects and other members can now easily update and create their own project presentations and link their profile with other projects.